You are here: Home / News / Need Some Quality Family Time? 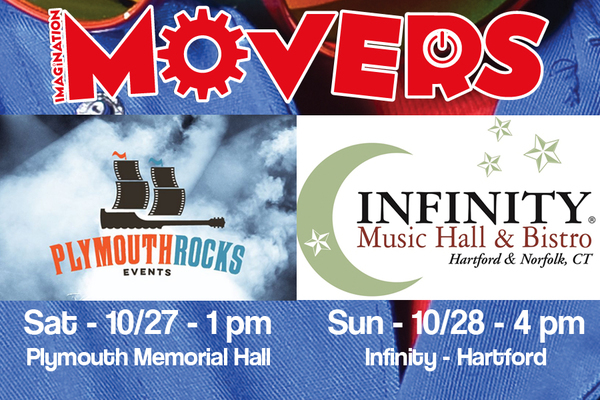 It's a vampire weekend, gather all your spooky friends and join the The Movers in concert. Rich, Scott, Dave, and Smitty are heading to the Northeast for a wonderful weekend of shows. 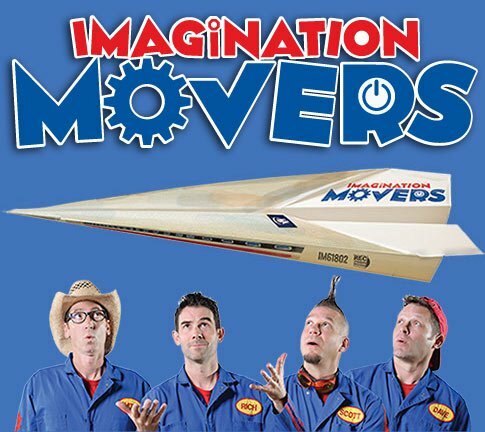 On Saturday, October 27, they'll be at the Plymouth Memorial Hall in Plymouth, MA for a 1 pm show. Wear a costume. Practice your ROBOT dance moves. Prepare to be rolled. On Sunday, October 28, your boys in blue will be at Infinity Music Hall in Hartford, CT for a 4 pm show. The Infinity has been good to the Movers so they're ready to repay the kindness with smoke rings, ginormous balloons, and confetti. Oh, and prepare to be rolled.